IV therapy delivers the hydration and nutrients your body needs directly into the bloodstream. The IV works quickly and effectively when administered by your physician. You might have thought IVs were only for those who are very sick, but they can actually be used to improve many common and chronic ailments! 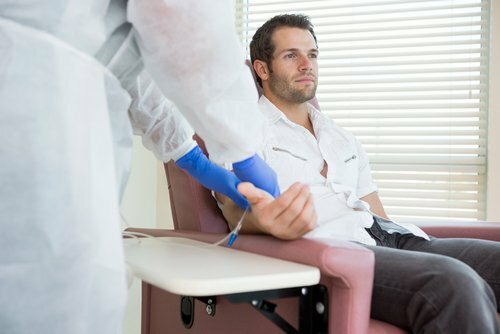 Keep reading to find out if you should try IV therapy. It’s been said many times that viral infections like the cold and flu just have to run their course. Antibiotics are useless against cold and flu symptoms and other medications only offer temporary relief. While there is no cure for the common cold and flu, IV therapy could shorten the course of your illness! The viruses causing cold and flu often leads to dehydration and also increases the need for certain nutrients like B-vitamins and vitamin C. With IV therapy, hydration and nutrients are quickly delivered to the body to help your body fight off the illness. Migraines are sometimes the result of a deficiency of nutrients like magnesium and B-vitamins. With IV therapy, nutrients are flushed into the body’s system to restore these levels and improve migraine symptoms. IV therapy is especially helpful to those who are unable to get their levels up through oral intake of the supplements they need. IV therapy can be beneficial to those suffering from chronic migraines. If your body isn’t getting the proper vitamins, minerals, and amino acids that it needs, you can feel sluggish and tired. For some individuals, this fatigue is constant with a condition called fibromyalgia. An IV can deliver quick hydration, vitamins, and minerals needed to boost your energy levels and improve your chronic fatigue. If you think you could benefit from IV therapy, contact our office today to schedule an appointment with Dr. Robinson.